Tamil film starring Vijay Sethupathi titled Super Deluxe and Nayanthara’s Airaa became the latest target of notorious site Tamilrockers despite strict piracy laws. Both the films leaked online within hours from its release. Tamil film starring Vijay Sethupathi titled Super Deluxe and Nayanthara’s Airaa became the latest target of notorious site Tamilrockers despite strict piracy laws. Both the films leaked online within hours from its release. 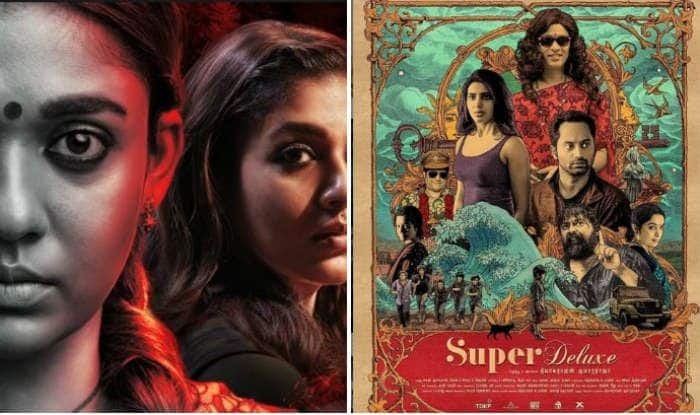 The film super Deluxe has opened to a great response and was doing quite well at the box office but now the makers have got a big blow as the film’s business might affect the box office collections. The film is directed by Thiagarajan Kumararaja and has an ensemble cast of Vijay Sethupathi, Fahadh Faasil, Samantha Akkineni, Gayathrie and Bagavathi Perumal. Talking about Airaa, it was one of the most-anticipated films and has created a lot of buzz on social media. In the film, Nayanthara is playing a double role. The film is directed by Sarjun and also features Yogi Babu, Kalaiyarasan in important roles. Earlier big films such as NTR: Mahanayakudu, Bazaar, Oru Adaar Love, Manikarnika: The Queen of Jhansi, Uri: The Surgical Strike among others leaked online by Tamil Rockers. Last year Ajith’s Viswasam and Rajinikanth’s Petta had been leaked on the website. The other movies which faced a similar fate were 2.0, Thugs of Hindostan, Sarkar, Kaala and Vishwaroopam 2. Piracy is a criminal offence and Tamilrockers have been involved in the leaking of films for a long time now. Despite the actions being taken by law enforcement agencies, they still leak movies with impunity. Earlier, the court has ordered 37 internet service providers to block over 12,000 websites that are into piracy. On February 2108, the government introduced a bill in Rajya Sabha to amend the Cinematograph Act and impose a strict penalty to combat the menace of film piracy. The bill proposes to make film piracy offences punishable with imprisonment of up to three years and fines that may extend to Rs 10 lakh or both.